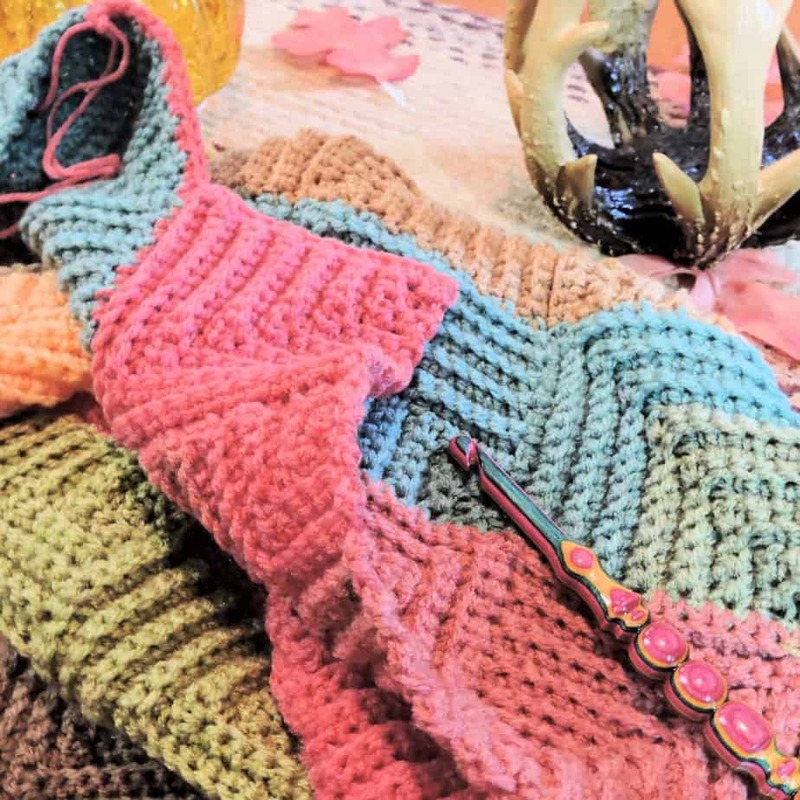 This giveaway is for a hard copy book entitled “63 Easy to Crochet Pattern Stitches” by Darla Sims and published by Leisure Arts. 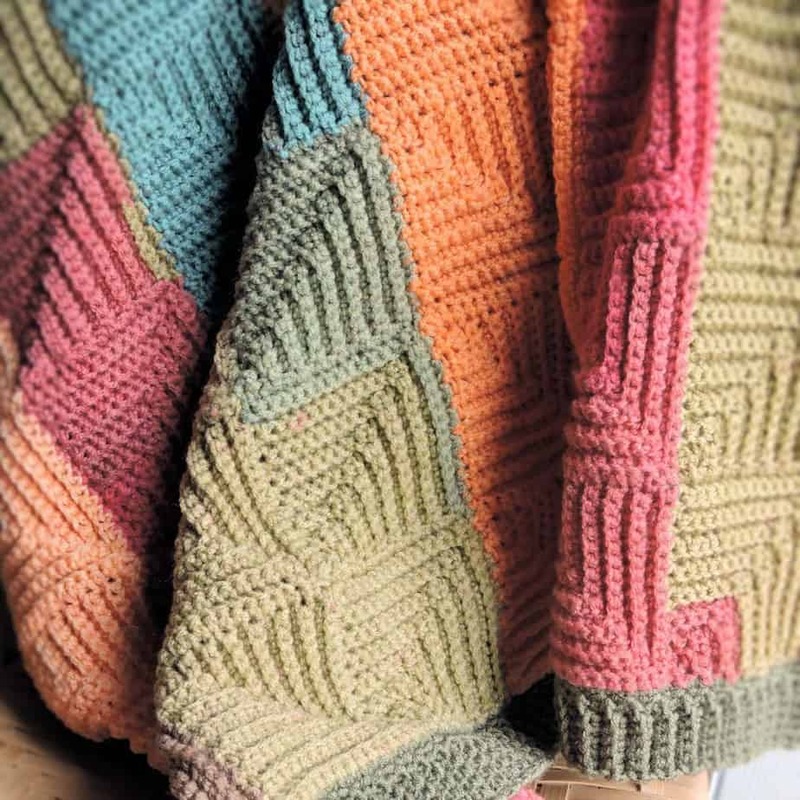 This book begins with a step-by-step guide in the basics of crochet. 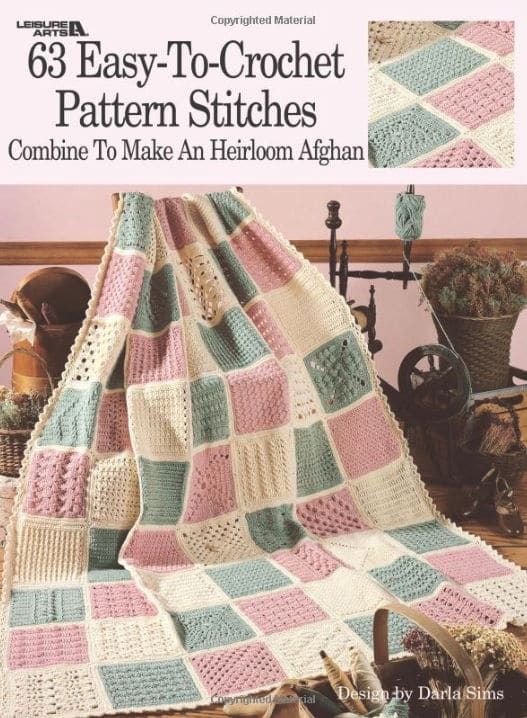 The afghan squares are then set out in individual instruction with a clear photo of each one. 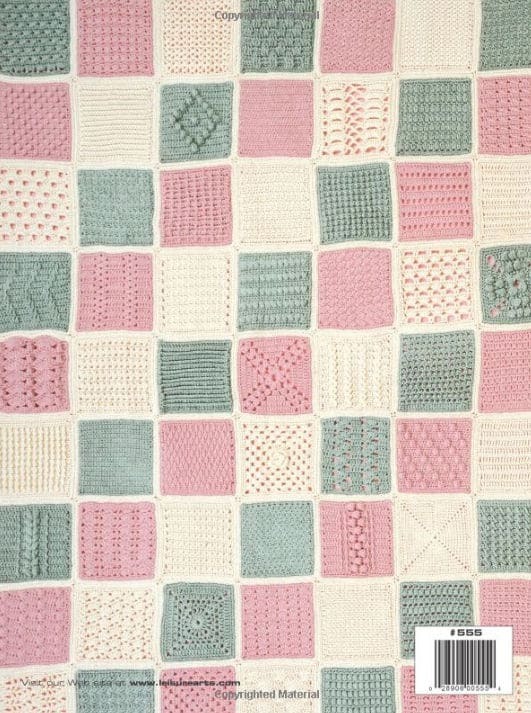 You can easily pick and choose from the 63 different squares to make different, unique projects if you don’t want a sampler. Choose one or choose just a couple to combine for your next project. 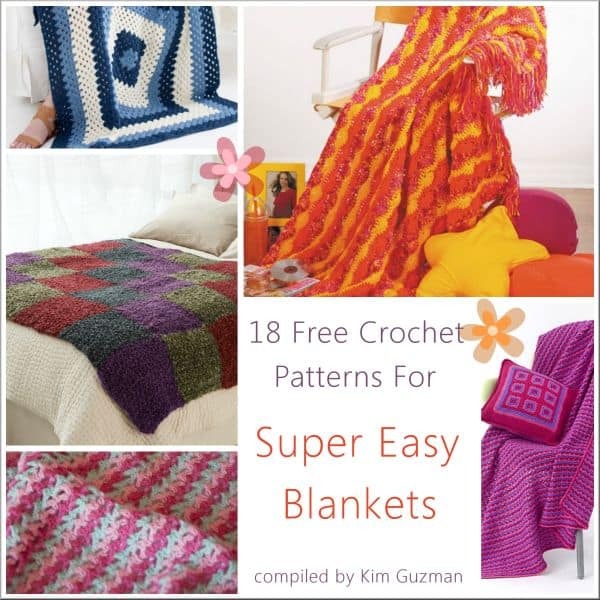 If you can’t wait and you would like to purchase this fabulous book, it’s available here: 63 Easy to Crochet Pattern Stitches. Open worldwide only where allowed by law. Void where prohibited. One name will be chosen randomly from all names entered prior to close at 11:59pm (CST) on April 8, 2019. Sign in through Facebook or with your email address to enter. Choose any of the other options for additional entries, including a daily bonus entry. Good luck, everyone! The entry form will load immediately below these words. Wait for it to load. If it doesn’t load, you may need to break out your laptop because some devices (I’m looking at you, iPad) strip the code sometimes. Winners are notified by email. Unclaimed prizes will be reposted in future giveaways. Enjoy and good luck in the drawing! Prior giveaways and the winners can be viewed HERE. 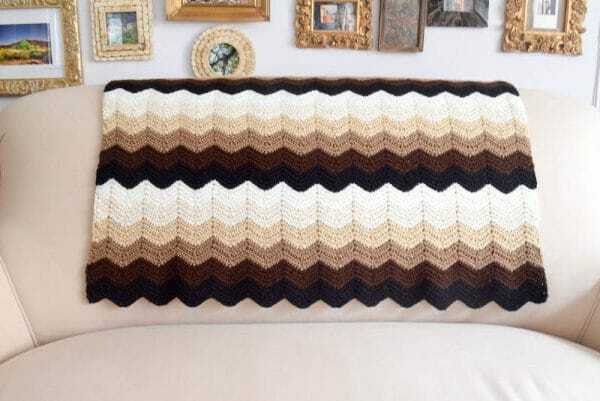 I’ve compiled a list of crazy easy afghans, perfect for when you need a project, but want it to be really intuitive and easy. 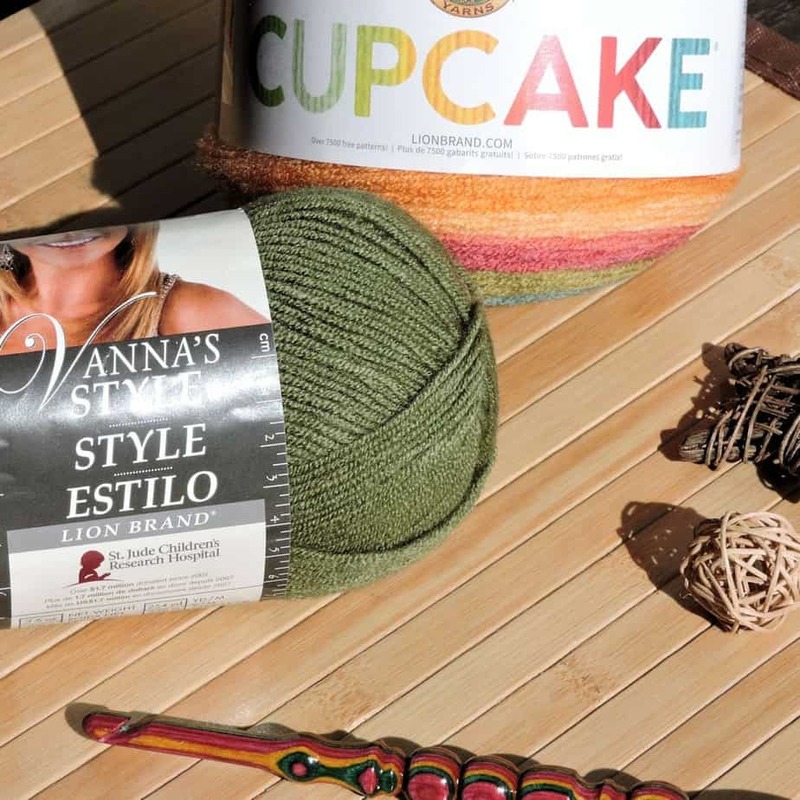 These are great for beginners who are just starting out or advanced crocheters who really need to chill with their crochet. Enjoy! This design is a REMAKE of my Patchwork Baby Blanket. I originally designed the Patchwork Baby Blanket in November 2015, over THREE YEARS AGO. 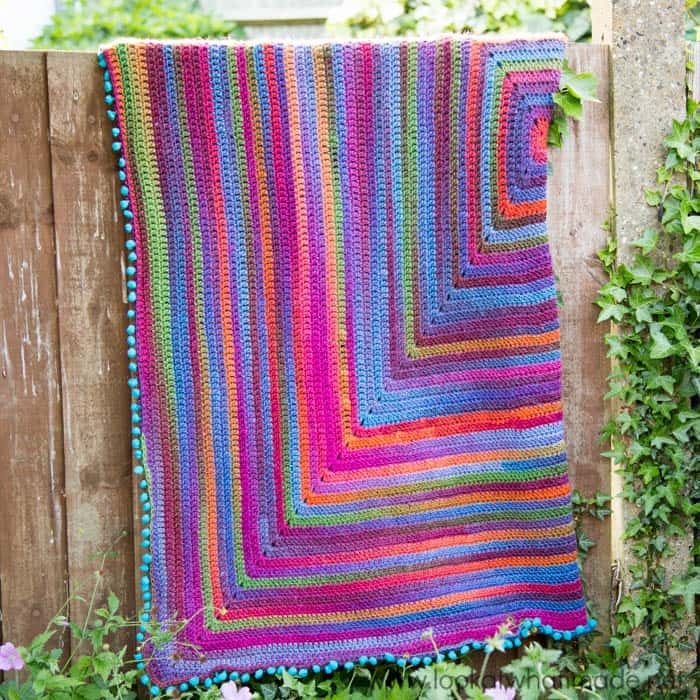 I have been using self-striping yarn to make continuous mitered square projects since 2011. If I copied anyone, I copied myself, not another designer. Any similarity to other designs is purely coincidental. Read more about my continuous mitered square projects here. In the original version, I used Lion Brand Ice Cream yarn. 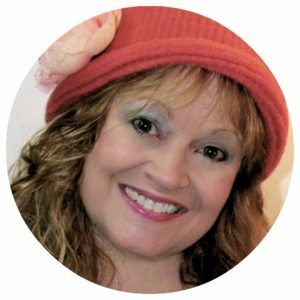 When I found this fabulous color of Lion Brand Cupcake called Apple Picking, I fell in love. I wanted to remake my design, but the color changing in Cupcake is quite a bit different and I needed to double my stitch count to make bigger squares. I kept the same border. The hook is from Robert Parish on Etsy. This project is made in join-as-you-go mitered squares. Each square is built on the previous square. The squares are first built into a strip of 10 squares, then there are 11 strips of squares built. You do not cut off after each square (unless you want, of course). 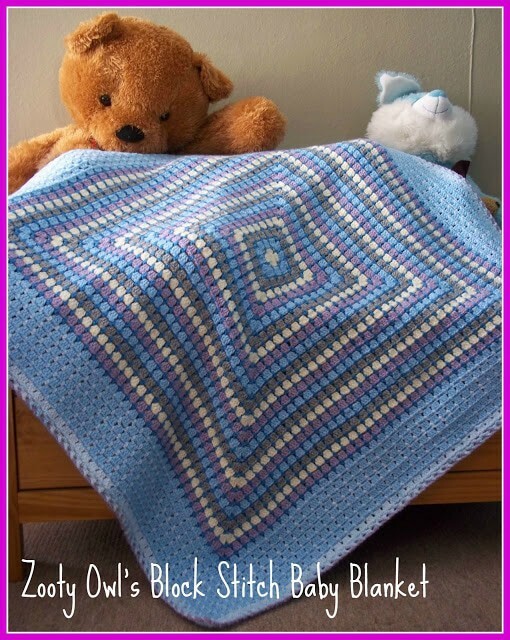 The border is applied “sideways” to the blanket, rather than working in rounds. You could also consider it to be a join-as-you-go method. 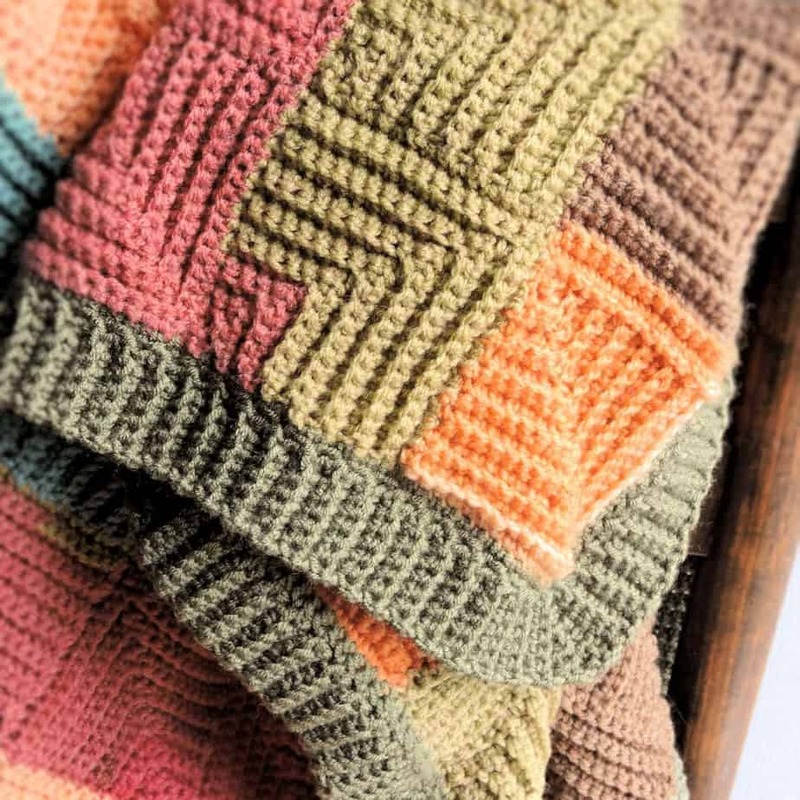 If you prefer, you can work the entire project in a solid color for a wonderfully textured blanket. This entire project is worked in back loops throughout. When working the last stitch of a row in back loop only, I prefer to make that last stitch in both loops to retain tension. 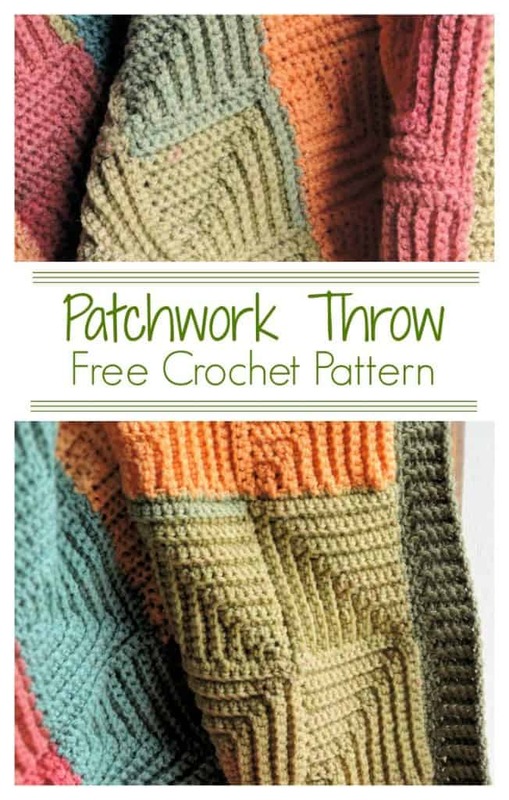 If your last stitch looks a bit loopy on the edge, try this as well. I used almost every single bit of the yarn shown in the Materials section. 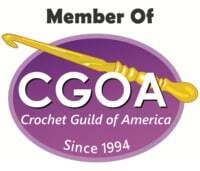 If your gauge is different or you want a different size blanket, you will need to adjust your yardage as well. 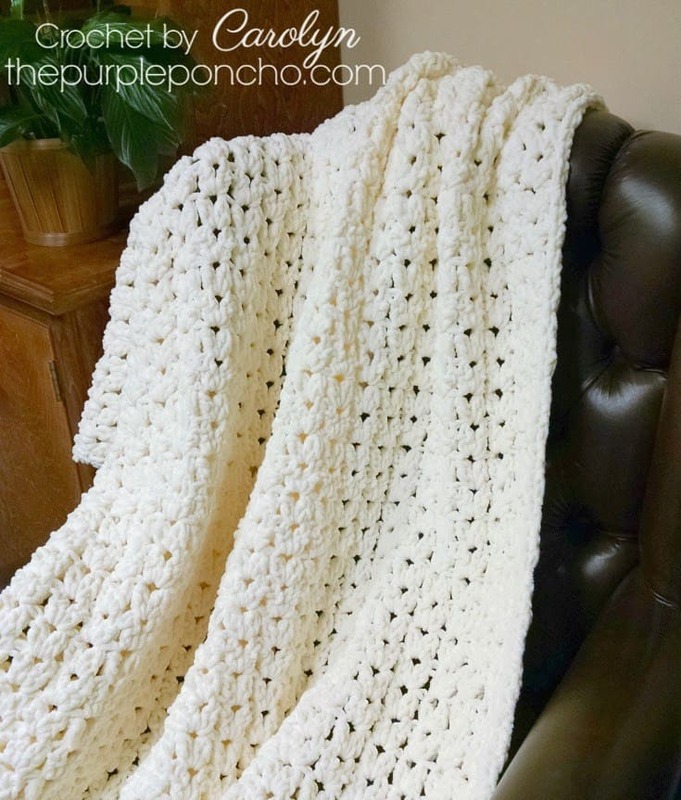 This blanket is composed of all single crochet in back loops and is pretty easy once you get the hang of it. It requires that you work into the sides of rows in addition to the stitches. My testers had the most problem with the Second Square of the First Strip because they were trying to apply preconceived crochet notions to their work. You can’t go in with the thought that you know what’s going on. You have to read the instructions and follow them exactly and then you will get the light bulb moment. For the second square, you chain out, work into the chain and then work into the side of the First Square. I have purposely had you put slip stitches across one edge of the First Square so that you will know exactly where to put your stitches. It’s all in the pattern, but you have to follow it exactly. Trust the pattern. Each square measures approximately 3.5″. Single Crochet 3 Together (sc3tog): [Insert hook in next stitch, yarn over, pull loop through] 3 times, yarn over, pull through 4 loops on hook. Use yarn A throughout body of project. B is only used for border. Row 1: Ch 32, sc in second ch from hook and in each remaining ch, turn: 31 sc. Row 2: Working in back loops only here and throughout entire project, ch 1, sc in 14 sc, sc3tog, sc in 14 sc, turn: 29 sc. Row 3: Ch 1, sc in 13 sc, sc3tog, sc in 13 sc, turn: 27 sc. Row 4: Ch 1, sc in 12 sc, sc3tog, sc in 12 sc, turn: 25 sc. Row 5: Ch 1, sc in 11 sc, sc3tog, sc in 11 sc, turn: 23 sc. Row 6: Ch 1, sc in 10 sc, sc3tog, sc in 10 sc, turn: 21 sc. Row 7: Ch 1, sc in 9 sc, sc3tog, sc in 9 sc, turn: 19 sc. Row 8: Ch 1, sc in 8 sc, sc3tog, sc in 8 sc, turn: 17 sc. Row 9: Ch 1, sc in 7 sc, sc3tog, sc in 7 sc, turn: 15 sc. Row 10: Ch 1, sc in 6 sc, sc3tog, sc in 6 sc, turn: 13 sc. Row 11: Ch 1, sc in 5 sc, sc3tog, sc in 5 sc, turn: 11 sc. Row 12: Ch 1, sc in 4 sc, sc3tog, sc in 4 sc, turn: 9 sc. Row 13: Ch 1, sc in 3 sc, sc3tog, sc in 3 sc, turn: 7 sc. Row 14: Ch 1, sc in 2 sc, sc3tog, sc in 2 sc, turn: 5 sc. Row 15: Ch 1, sc in 1 sc, sc3tog, sc in 1 sc, turn: 3 sc. Row 16: Ch 1, sc3tog, do not turn. Note: Work slip stitches loosely so as to not buckle the fabric. These slip stitches aren’t there for any other reason than to show you where to place the next square. 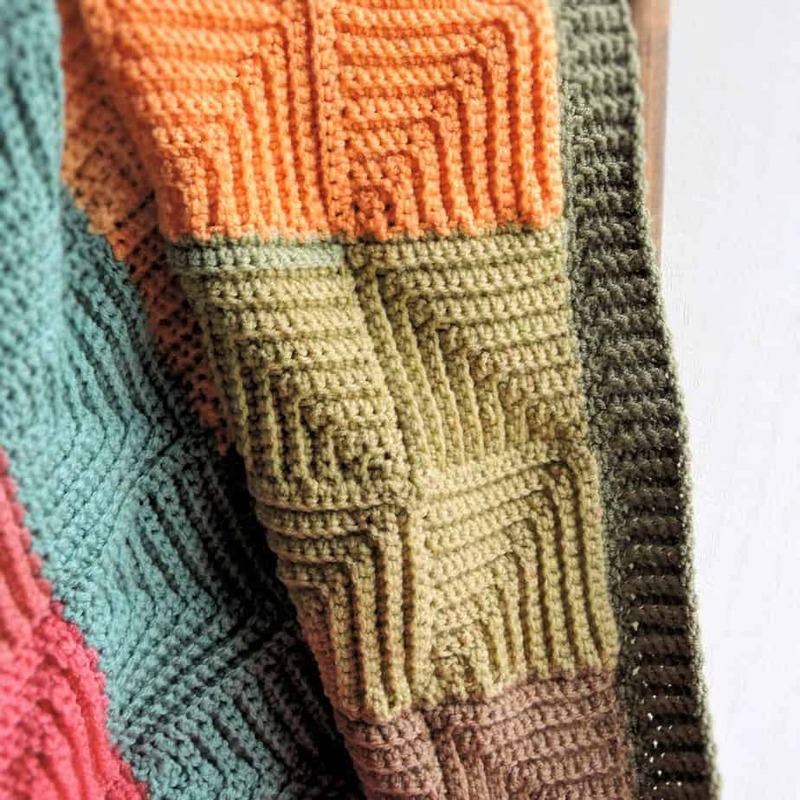 It’s only on this first strip that you’ll have these slip stitches because, once you have a strip finished, you will be able to visualize placement. Row 1: Currently at row 16 of previous square, without turning, ch 1, work 16 slip stitch along side of square, ch 17, sc in second ch from hook and in next 14 ch, sk next ch, turn work to begin working along side of square where the 16 slip stitches were just worked, work 16 sc evenly across side of square (where slip stitches were previously worked), turn: 31 sc. Rep rows 2-16 of First Square. Rep Second Square until 10 squares completed in total for First Strip of squares, do not fasten off. Row 1: Currently at row 16 of last square of first strip, ch 17, sc in second ch from hook and in next 14 ch, sk next ch, turn to begin working along top of square below across long edge of Strip, work 16 sc evenly across top of square below, turn: 31 sc. Row 1: Ch 1, turn, work 31 sc evenly across side of last square made and top of square below, turn: 31 sc. Rep Next Square until 10 squares completed in total, do not fasten off. Rep Strip of Squares until 11 strips completed in total, fasten off. Discontinue working in back loops only for this round. With B, ch 1, work sc around entire blanket with 3 sc in each corner, fasten off. Row 1: With B, join with sl st to any third sc of 3-sc corner of Border Set Up, ch 7, sc in second ch from hook and in remaining 5 ch, sk sc of joining and next sc from Border Set Up, sl st in next sc from Border Set Up, turn. Row 2: Working in back loops here and throughout, sc in 6 sc just worked, turn: 6 sc. Row 3: Ch 1, sc in 6 sc just worked, sk 1 sc from Border Set Up, sl st in next sc from Border Set Up, turn: 6 sc. Rep rows 2-3 to first sc of 3-sc corner. Next row: Sc in 6 sc just worked, turn: 6 sc. Next row: Ch 1, sc in 6 sc just worked, sl st in second sc of 3-sc corner of Border Set Up, turn: 6 sc. Next row: Ch 1, sc in 5 sc, turn, leaving remaining sc unworked: 5 sc. Next row: Ch 1, sk first sc, sc in next 4 sc, turn: 4 sc. Next row: Ch 1, sc in 3 sc, turn, leaving remaining sc unworked: 3 sc. Next row: Ch 1, sk first sc, sc in next 2 sc, turn: 2 sc. 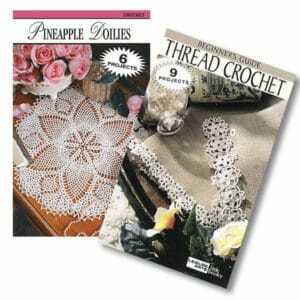 Next row: Ch 1, work 6 sc evenly along entire edge of last 5 rows, sl st in third sc of 3-sc corner of Border Set Up, turn. Next row: Ch 1, sc in 6 sc just worked, turn: 6 sc. Rep rows 2-3 throughout, making Corner at each corner, fasten off. Note that, on the last corner, the last 2 rows of corner were already worked at the beginning, when the Border was started. With yarn needle, seam the first row of the border to the last row of the border. Weave in ends carefully.